Back home at last. Out of Santiago High School High school, Corona, CA, Brandon Ruffin decided that Antelope Valley College was the place for him. In the state tournament 2012-13 year, he grey-shirted at AVC as he was playing behind D-1 bound Jason JJ Johnson at the two guard position. The next year, Ruffin decided, for a number of reasons, that he would transfer to a JUCO that had been recruiting him him heavily ever since high school, Irvine Valley College. Brandon did not start at IVC in his year there, but did get some playing time. Irvine Valley is known for it’s “grinder” style of basketball and it looked as if Ruffin’s more athletic style of playing did not fit well. To follow NCAA rules on transferring college players, Brandon sat out the past year at AVC. Last year, he worked hard on his basketball game and academically and is ready to help the AVC team in any way he can. He comes back to AVC a mature hard working young man. He still is as athletic as ever with monster dunks but much more under control. He has become a dangerous long range shooter, slasher into the middle, plays intense defensive, and brings high energy when he is on the floor. 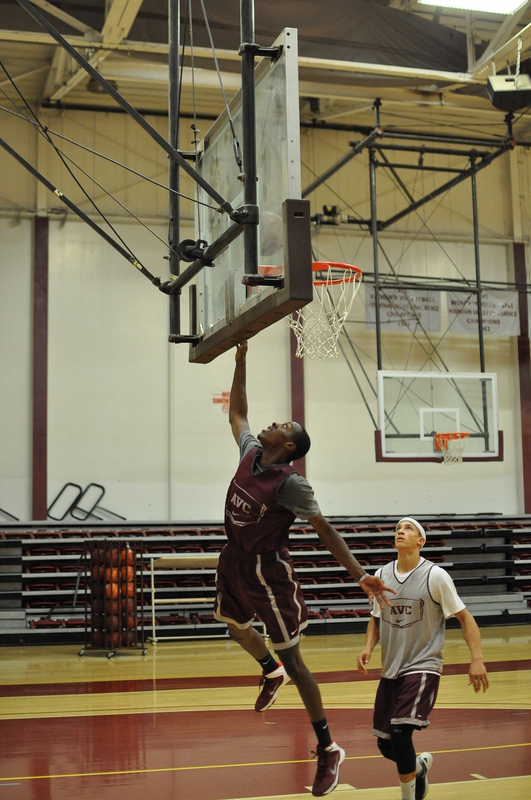 Ruffin looks to be a strong addition to the Antelope Valley College team. Mr. Energy. He started in several fall shootout games but my guess his role this year will be Mr. Energy off the bench. He is a dangerous shooter but his defensive energy is a thing of beauty. Ruffin is will to give up his body for the good of the team. A key AVC player.